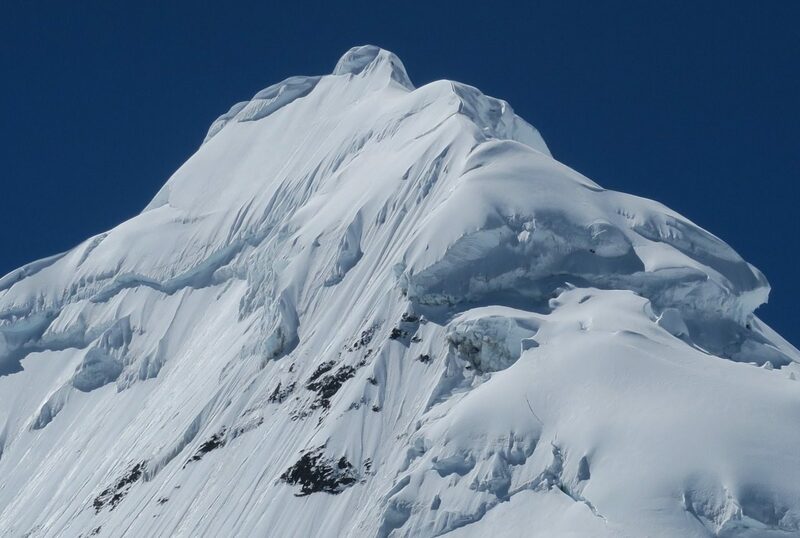 The Tocllaraju expedition takes you to one of the biggest and most spectacular mountains in the Cordillera Blanca. The mountain stands an incredible 6,034m high. 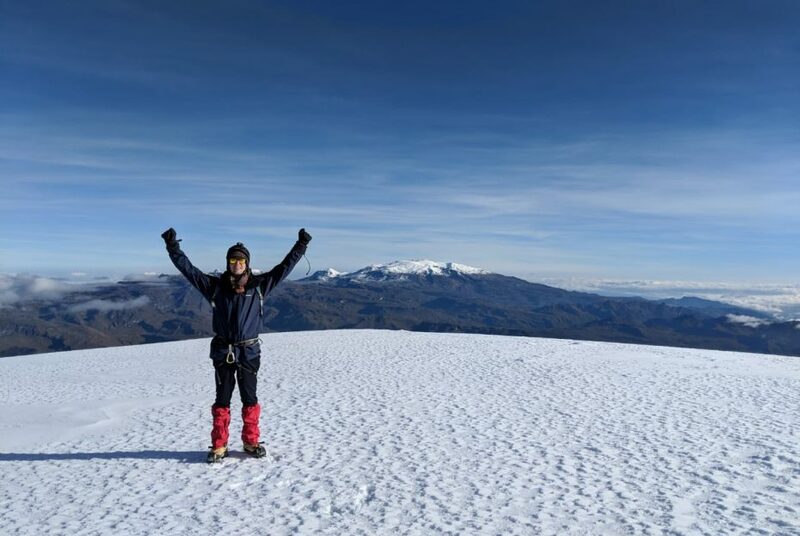 However, Tocllaraju is unique as it's one of the few mountains in the world where you can reach heights of over 6,000m without prior experience or technical skills. All that is required is a good level of fitness and the mental resilience to climb mountains. If you are yet to experience high altitude climbing, the Tocllaraju expedition is for you! 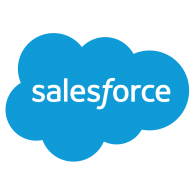 The trailhead is located in the small village of Pashpa. After a steady 5-6 hour hike, you will arrive at the base camp. This is located at the head of the beautiful Ischinca Valley. 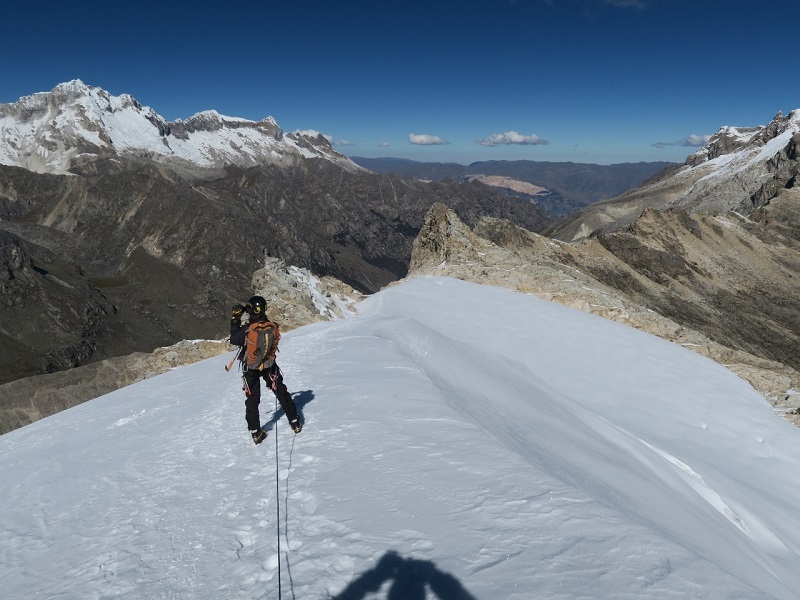 The first climb for the Tollaraju expedition is Urus Este. You will ascend the east ridge to its 5,420m summit. This is a tough, rocky uphill climb. However, it is a short climb and a great peak for acclimatization. 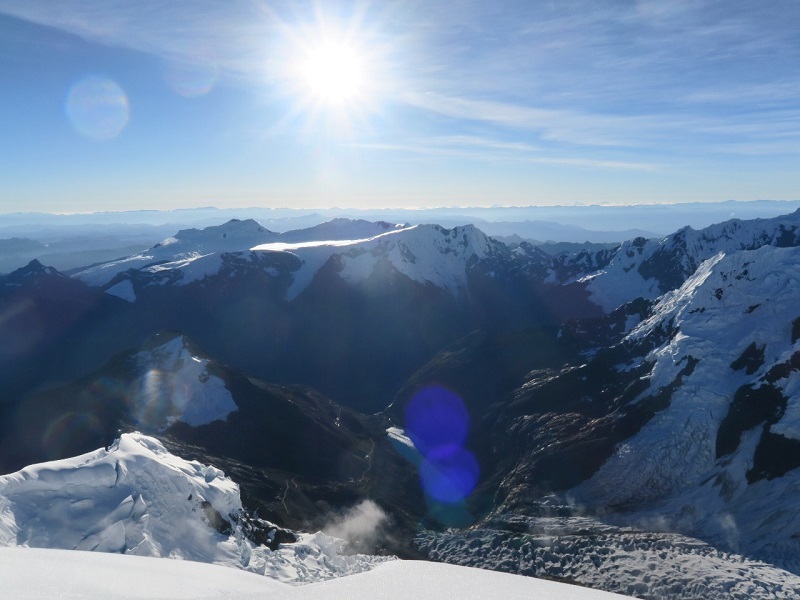 Urus Este's summit gives you spectacular views of Tocllaraju. The latter dominates the whole landscape. 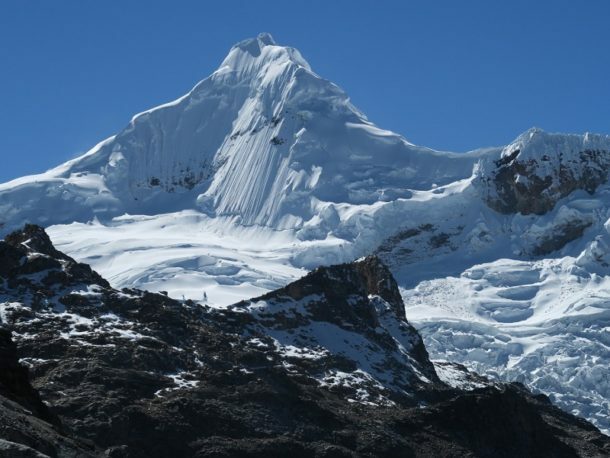 Although, there are many other beautiful snow-covered mountains scattered around the Cordillera Blanca. Following your climb of Urus, Ishinca (5,530m) is your next mountain. This is the perfect preparation for Tocllaraju. It is a longer climb and has a higher summit than Urus. You do not want to burn out! Therefore, a rest-day follows Urus and Ishinca. This is a welcome pause before ascending to Tocllaraju's high camp. Rest days at the base camp are included in all our itineraries. They are crucial to successfully reaching the summit of Tocllaraju. Base camps don't get much better than Tocllarajus. The area has a beautiful creek, mountains in every direction, and one of the clearest starlit skies you'll ever see. We work with the best guides and outfits in Perú. 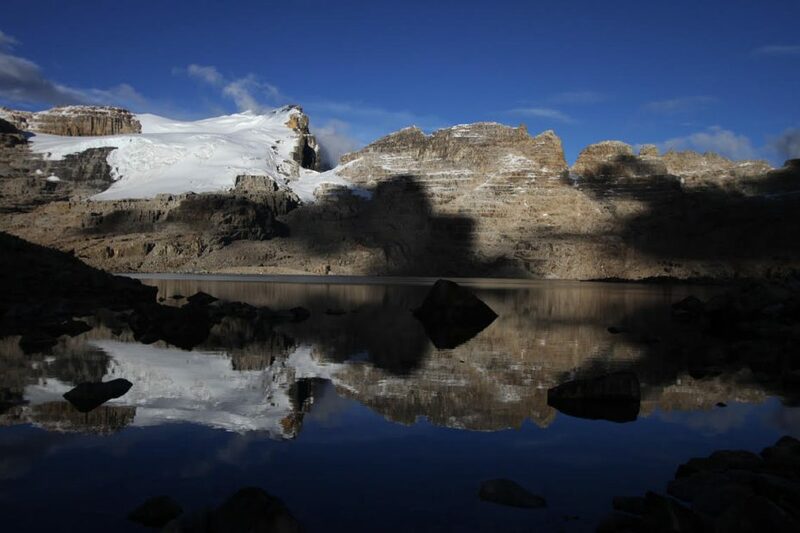 Therefore, every year we put together numerous set and customized expeditions to Tocllaraju. 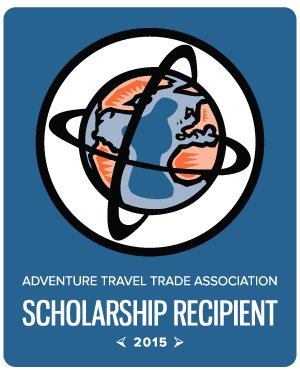 Whatever your preference, get in touch and we'll make your dream of a Tocllaraju expedition a reality! Firsthand account of a climb up Artesonraju. Private airport pick-up, and a night in Lima. 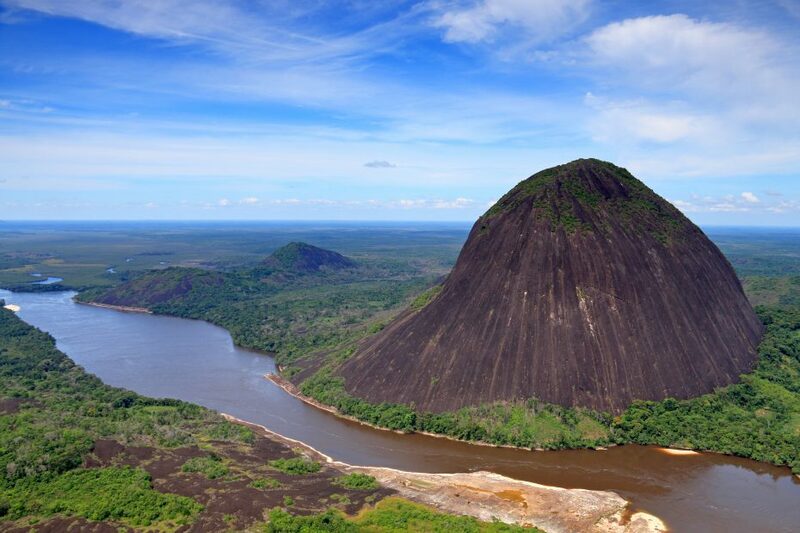 We'll recommend a tasty restaurant in Latin America's most famous food destination! 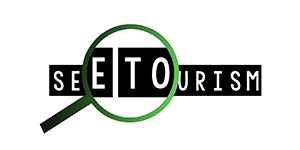 Private transfer to the coach station and a comfortable first class ride to Huaraz, approximately an 8-hour journey. Day hike to the turquoise waters of Laguna Churup (4,500m), a 6-hour round trip. Pick your way through the delicate Andean tundra and gain the Urus glacier around sunrise. Once on the glacier, wind your way through some impressive crevasses and up to the high saddle, then follow a final ridge to the very top. Rest day. There are opportunities for rock climbing, a day hike, or skills practice. 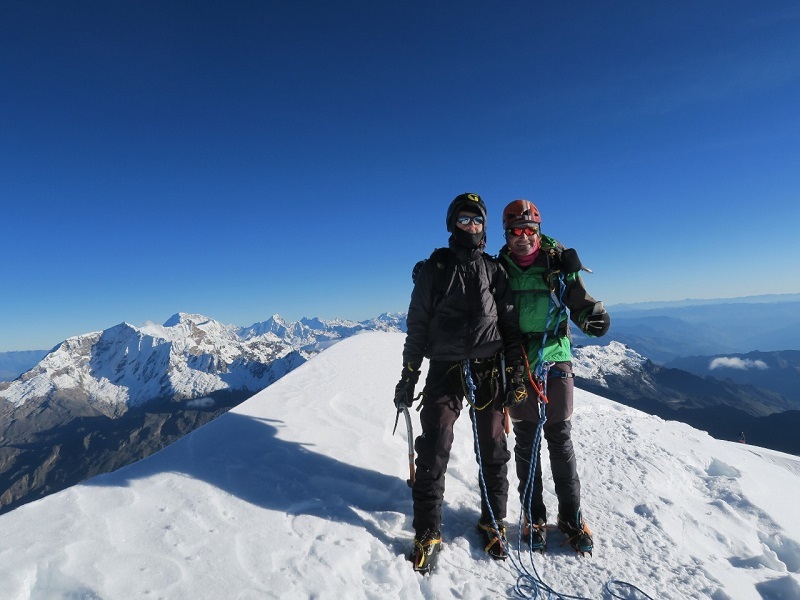 Summit day on Ishinca (5,544m), which offers about a 4 hour longer climb than Urus but the same technical difficulty. Rest day. 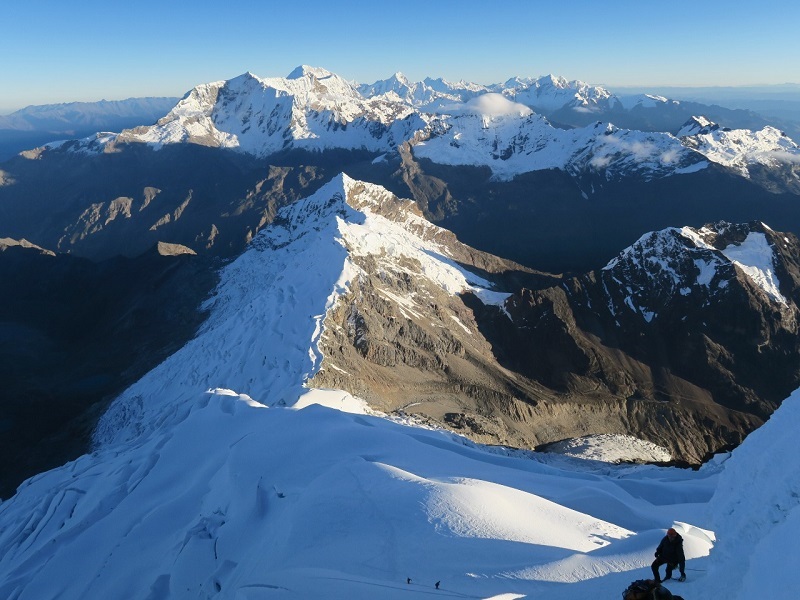 There are opportunities for a day hike or skills practice, to prepare for your Tocllaraju climb. Taking your essentials, head to the high glacier camp of your final mountain, Tocllaraju. It takes about 6 hours to reach the camp at 5,000m. Enjoy a truly unforgettable dinner while mesmerized by Tocllaraju’s impressive west face. Begin the classic assent up Tocllaraju’s north ridge. Things get steeper as you climb, with two sections of 60-80 degree snow and/or ice. Return to high camp and after a rest and some warm food, continue back down to base camp. Enjoy a well deserved lie-in and wake to a delicious breakfast before packing up camp and loading the donkeys for the return to Huaraz. Meet again for a celebration banquet that evening. 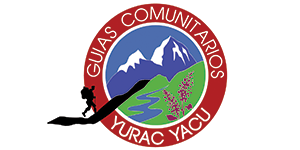 This is a 7-day expedition starting in Huaraz, that includes Urus, Ishinca and Tocllaraju. Max. Team Size: 8. Price: $1,320. 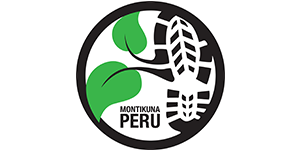 Fully inclusive 14-day expedition with all services from Lima to Lima. 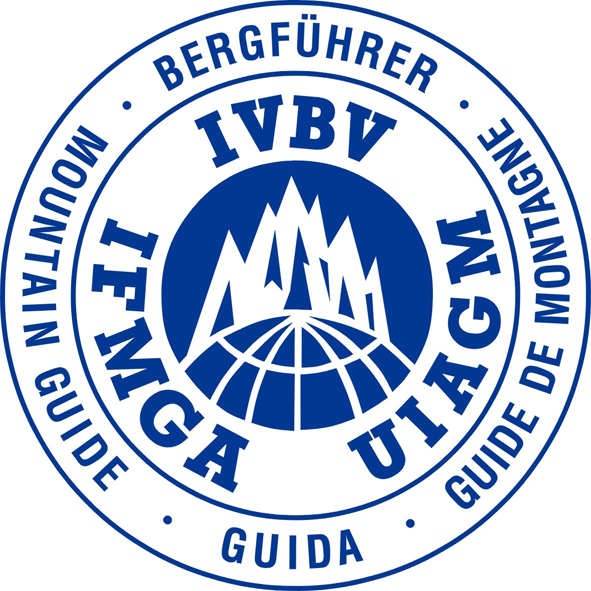 Includes acclimation activities as well as guided climbs of Urus, Ishinca and Tocllaraju. Max. team size: 8. Price: $2,565.